1 If you’re an electrician who is looking to get the phone to ring more and fill up your appointment book, check out these 10 simple marketing ideas we suggest for electricians. 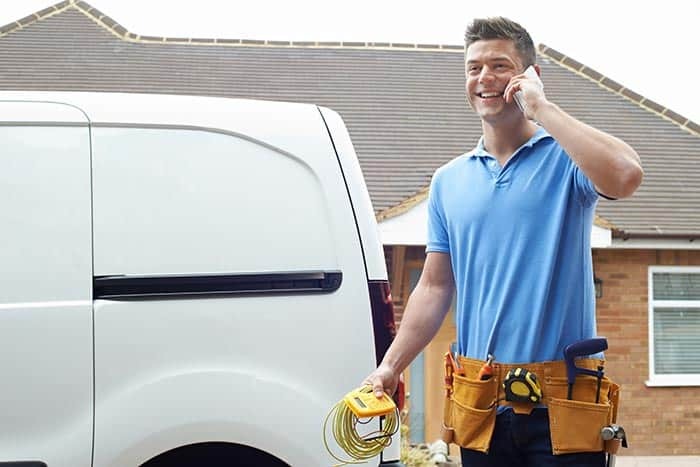 If you’re an electrician who is looking to get the phone to ring more and fill up your appointment book, check out these 10 simple marketing ideas we suggest for electricians. Running an electrical business is not always easy. First of all, you need to build an effective marketing plan for your company and attract the target audience to your electrical business. Plus, you need to do everything possible to turn your new clients into repeat ones and increase your customer base. And of course, you have to build and maintain a strong electrical business reputation in the future. There has been a lot of talk about the importance of having a solid marketing strategy for electricians. It’s fair to say that the success of an electrical business largely depends on your marketing strategy. If you market your electrical company in an efficient way, you’ll be able to increase your sales, boost your brand awareness and, most importantly, grow your business. It’s no surprise that a lot of electrical engineering companies operate in almost every city these days. That’s the reason why a lot of electricians find it hard to market their businesses. On the other hand, nothing is impossible. It’s pretty clear that marketing an electrical business is a very serious job that requires certain skills as well as knowledge and experience. In addition, marketing electricians is a very time-consuming process. That means that you’ll have to spend a lot of time every day if you choose to do all the necessary marketing tasks for your electrical business on your own. That’s why it would be great for you to trust all of your electrical engineering company’s marketing tasks to real experts, who know what they do. As a result, you’ll be able to spend more time with customers of your electrical business. There is no doubt that this will contribute greatly to your business success. The big question is – how to market electricians? In fact, marketing an electrical business has a plenty room for creativity. It’s worth noting that we’ve spent many years doing different types of marketing tasks for electricians. So, our professionals know which marketing techniques work and which ones don’t work. We’ll share our marketing experience with you and will help you come up with the best marketing ideas for your electrician business. As a result, you’ll be able to develop an effective marketing strategy for electricians that works. You’ll hardly be able to promote an electrician business without a website. If your electrician business doesn’t have a professional site, you’ll not get a lot of customers who search for electrical services online. Your job is to create a well-designed, responsive, search engine friendly website thats and easy to use for your electrician business. Plus, you need to provide the information on services offered by your electrician business. With such a great website, your electrician business will stand out from the crowd. It’s crucial for you to know that creating a website for electricians is only half the battle. Once you’ve developed a site, you have to promote it in search engines. Keep in mind that your website will do great job for your business only if its web pages rank high for the target keywords in popular search engines (such as Google, Bing and Yahoo). Obviously, electrician companies provide their services in certain areas only. That’s why you shouldn’t promote your website’s pages for general keywords. However, it makes a lot of sense for you to optimize your site’s pages for local keyword phrases. If done right, local search engine optimization will help you attract the right type of traffic to your website. So, you’ll find it easy to convert your website traffic into prospects, sales and profits. As it was mentioned above, local SEO needs to be a key part of an electrician company’s marketing strategy. Nevertheless, it may take too much time to optimize a site’s web pages for the necessary keywords and start getting search traffic. Things are likely to go easier with search engine promotion if you decide to make use of PPC advertising services. Bear in mind that your electrician business will begin to get search traffic immediately after you launch a Pay per Click advertising campaign. There is no better way to test a business idea than to launch a PPC marketing campaign. The reality is a Pay per Click advertising campaign can be modified, suspended or even stopped anytime. Another important thing that you need to be aware of is that advertisers have the perfect opportunity to setup budgets for their PPC campaigns. That means that you’ll be able to take control of your spending on Pay per Click advertising. People tend to search for electrician businesses on Google maps. That’s the reason why your electrician company must be listed in Google Places. There is no question that Google Places will generate customers to your electrician business. Electrician business owners prefer to get their companies listed on local business sites for obvious reasons. Below, we’ll explain to you how exactly your electrician business can benefit from local business listing sites. – More customers. You need to know that people tend to check customer reviews of local businesses on popular listing sites. That means that if you get your electrician company listed on popular local business sites and build a good reputation on the market, you are likely to attract a lot of new customers. – Better Google rankings. Additionally, local business listing sites will give you a lot of backlinks that will definitely have a huge positive impact on your site’s SEO. – Increased brand awareness. Above all, you’ll be able to increase your brand awareness dramatically if you choose to get your electrician business site listed with the top local business listings. Among the most popular local business listing sites are: Yelp, Yell, Business magnet, Scoot, 192.com, Lacartes and many others. Actually, the list of local business listings could go on and on. And of course, your electrician business must be listed on all of the major local business listing sites. It’s fair to say that popular social media sites (such as Facebook, Twitter, Instagram and many others) provide electricians with a huge marketing potential. In fact, electrician businesses can benefit from social media promotion in many ways. – Social media sites generate high amounts of traffic to an electrical business site. If promotion is done right, top social media sites will certainly generate high amounts of targeted traffic to an electrician business. After that, you’ll have to convert your social media traffic into prospects, sales and profits. – Social media sites make it possible for electricians to communicate with their prospects and customers. It’s a great idea to use social media sites as an online communication tool. People will leave comments on your electrical company’s social media profiles. They may ask you various questions about your electrical services or leave feedbacks about your business. One way or another, you have to reply to all of these comments quickly. – Social media sites give electricians an existing opportunity to make their brand more popular. If you promote your electrical business in an effective way, the awareness of your brand is likely to increase significantly over the time. People will remember your brand and contact your electrical company when such a need arises. Now, let’s try to figure out how to use social media to promote an electrical company. First and foremost, you need to create profiles for your electrical company on the top social media sites. After that, you have to promote your electrical business on social media in the best possible way. In fact, an electrical business can be promoted on social media in a number of different ways. Add social media buttons to your electrical business website. By doing so, you’ll make it possible for your site’s visitors to join your company on social media. Update your social media profiles with fresh content. It would be great for you to publish fresh content on your electrical company’s social media profiles regularly. This is something that helps electricians draw the attention of social media users to their businesses. Make use of paid social media ads. If you take advantage of paid ads, you’ll be able to advertise electrical services on social media fast and easy. It’s important to point out that vehicle advertising can do a great job for different types of businesses. And of course, electrical business is no exception! Without a doubt, vehicle advertising will work well and bring clients to electricians. Your job is to provide effective solution to any of client’s electrical needs. If you provide a full range of electrical services, you’ll be able to help anyone. That means that your electrical business will get more clients. First of all, you have to attract potential customers to your electrical business. After that, your task is to turn your new clients into repeat ones. And of course, email marketing will help you with that! So, it would be nice for you to collect emails of your prospects and then send them an email from time to time. By doing this, you’ll be able to remind your potential and existing clients about your electrical business. People will definitely contact you when they need to get electrical work done in the future. As a result, your electrical business will get more repeat customers as well as sales. Business cards are another great way to remind people about your electrical business. However, you must be very selective when it comes to picking the design of business cards for an electrical business. Make sure that your electrical company’s business card includes your logo, motto and, of course, your contact information (postal address, phone number, website as well as email). Also, it makes a lot of sense for you to add a discount coupon code to a business card. 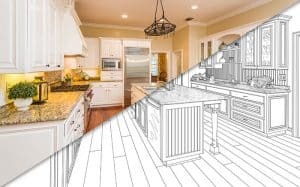 It’s also important to note that your marketing efforts will be crowned with success only if your business provides good electrician services at good price. Otherwise, you’ll just waste your time and money on marketing your business. It goes without saying that electricians should do everything possible to achieve customer satisfaction. High quality of work has to be the number one priority for your electrical business. That’s why you have to hire only highly professional electricians, who can provide customers with high quality work. Plus, electricians must be committed to the best possible customer experience. It’s very important for electricians to communicate with their clients effectively. If your clients are happy with the quality of your electrical work and customer service, they will most likely choose to use your electrical services again and again in the future. However, the most important thing is that happy clients will leave positive reviews about your company and recommend your electrical business to others. In addition, happy clients are likely to recommend your electrical company to their friends, relatives and colleagues. That means that your electrical company’s customer base will increase dramatically over time. And of course, all of this will contribute greatly to the success of your electrical business. You should know that consumers always pay a close attention to the price of electrical services. If you offer electrical services at high prices, then prospects will probably choose to deal with your competitors. Obviously, you should do your best to prevent these kinds of things from happening. So, do competitor research and determine the right price for your electrical services. Do you need help with marketing an electrical business? If so, contact us right away! Our professionals have huge experience in marketing electricians. We’ll help you market your electrical services in the best possible way and grow your business quickly!